The deputy is charged with inflicting 500 million hryvnia losses to the state. The detectives of the National Anti-Corruption Bureau conducted on 16 June a search in the office of the people's deputy Oleksandr Onishchenko, the Will of the People group. The search had reportedly lasted for hours. A spokesperson for Onishchenko claimed that the building was a reception office of the parliamentary and hence could not be searched. NABU refuted the allegations. The NABU searched Onishchenko's office in March. On 14 June, the NABU said they have prepared a petition on the removal of immunity and the arrest of Oleksandr Onishchenko. 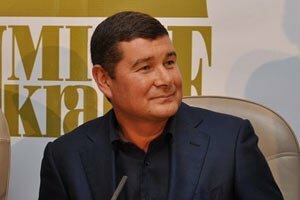 In December 2015, the NABU started criminal proceedings against Onishchenko. The case concerns the 500 million hryvnia worth of embezzlement during the extraction of natural gas in 2014-2015 by companies affiliated to Onishchenko.